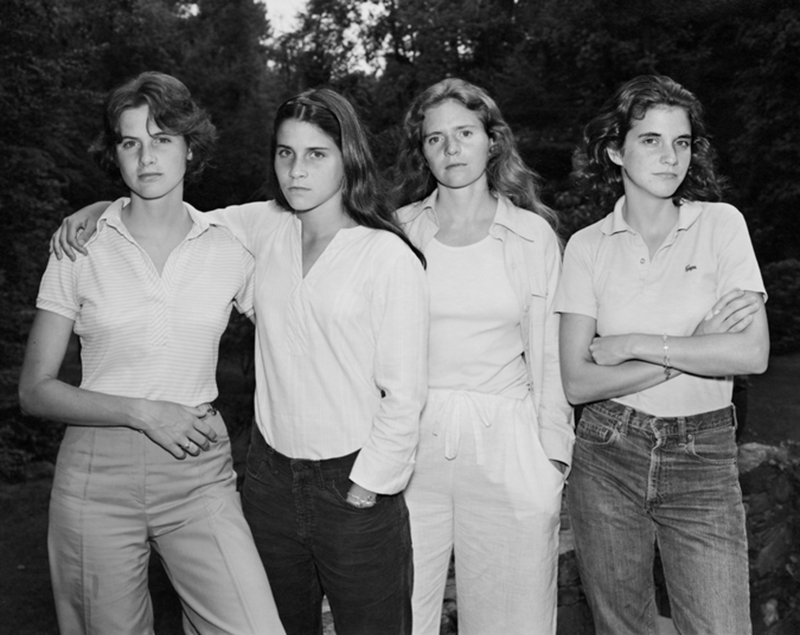 Nicholas Nixon first took a photograph of his wife and three sisters back in 1976. It looked like a typical family photograph, but he saw something truly special amongst the Brown sisters. He saw a beautiful project and a special bond. Ever since that first photograph, Nixon has made it a yearly tradition to take a photo of the Brown sisters. The project would be a very intimate look at sisterhood and how time affected our lives and relationships. Although time may change our appearance and our bodies, it never changes the love shared amongst sisters. This collection will be featured at the Museum of Modern Art (MoMA). The sisters range from 16 to 26 years old at the time. While some were entering adulthood, others were already in the midst of it. One year later, the sisters look older and more mature. Their fashion style has also changed. This photo highlights the similarities amongst the sisters. You can see how they all resemble one another! The sisters all look much older. They’re no longer girls; they’re beautiful women! Hair styles have changed as well as clothing styles. A decade has passed since the first photo they took. Each sister is now her own woman. They lead separate lives but the sisterhood they share ties them together. This is the first photo where it seems they are all smiling. This is the first photo where they are not all looking at the camera. A new millennium has arrived, and the sisters brace each other tightly. We can see how time has affected their appearance, but you can see how their love has never changed. Watch as four decades pass between these sisters. It’s incredible to see how time has affected the Brown sisters.